A row is brewing between Zambia and Dangote Cement, a major employer in Africa’s second largest copper producer, after a government minister accused an executive at the local unit of the Nigerian company of attempting to bribe him. The dispute appears to be the latest in a string of incidents in which the southern African nation’s government has resorted to strong-arm or unorthodox tactics against foreign investors it believes are circumventing labour laws. Dangote Industries Zambia has 400 workers building a $400m cement plant, a staff count that should rise to 2,000 when production starts in November, deputy industry minister, Miles Sampa, told Reuters. During a tour of the plant in Ndola, 300km (188 miles) north of the capital, Lusaka, labour minister, Fackson Shamenda, said a Nigerian executive seconded to the Zambian unit tried to bribe him at a hotel a week ago. “For the record, DIZ categorically deny any claims of corruption and bribery, and reserve our rights on this matter,” it said in a statement. Shamenda did not specify what was offered by the executive and said he rejected it because he had critical labour issues to sort out with the company – owned by Nigerian Aliko Dangote, Africa’s richest man – and did not want to be compromised. “He told me that it was a tradition in their culture to give someone a token of appreciation. 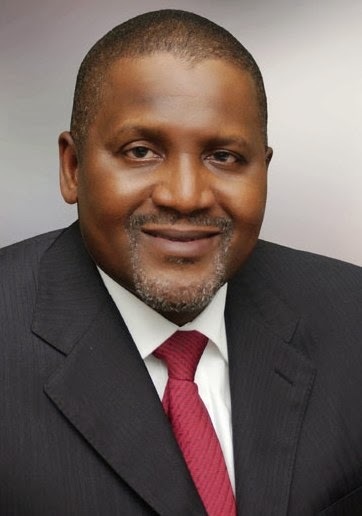 Maybe his idea was that I turn a blind eye to what is happening at Dangote,” Shamenda said, according to local media reports. Shamenda also said DIZ should offer workers at the company permanent employment and allow them to join unions. Shamenda told Reuters on Tuesday, “There is no union, and according to the reports I have received, those who have attempted to join unions have had their contracts terminated. DIZ said in its statement that Shamenda had made four surprise visits to the cement plant in the last four months, prompting the company to complain about his conduct as it felt that the minister was deliberately looking for wrongdoing. “DIZ was beginning to feel harassed and unwelcome in Zambia, and immediately brought this to the attention of the Ministry of Commerce, Trade and Industry,” it said in the statement. A year ago, Zambia revoked the work permit of the chief executive of Konkola Copper Mines, owned by London-listed Vedanta Resources, and threatened to rip up its mining licence when the firm announced plans to lay off 1,500 workers.